Excerpts of a beautiful concert of spiritual music with compositions by Sri Chinmoy in Kathmandu Nepal early 2011. Performers are the European group “Vedic Fire”, Vijay Shankar Mishra’s Group from India and Skihandini from Russia. Enjoy these meditative melodies. During my recent stay in Nepal I had the opportunity to film for the first time the creation of Singing Bowls in Kathmandu. They are manufactured according a centuries old tradition by some selected small local enterprises and thereafter find their way throughout the world to lovers of these musical instruments. Watch this unique document, realized early 2011 with my new GH2. The soundtrack is by Kamalakanta. A group of spiritual seekers found a cave in which the sage Gorakshanath seemed to have meditated for a long period of time in the 10th century AD. The cave is situated behind a Buddhist monastery in the surrounding hills an is mainly worshiped because of a Buddhist Lama who meditated in the same place in later years. The long cave has been closed and only a small chamber with a shrine remains. On the website saivism.net we found the following text about the life of Gorakshanath. Gorakhnath is also known as Siddha Siddhanta and Nath tradition. It was founded by Gorakshanatha (Gorakhnath) who lived about 10th century AD. He is believed to be 3rd, 4th or 5th in a line of 12 prominent teachers of this tradition, which has followers in both Buddhism and Hinduism. He was said to be a disciple of Matsyendranatha who was from Nepal. Followers of this sage believe that knowledge of this tradition was received by Matsyendranath directly from Siva himself. Gorakshanatha is credited with such works as Siddha Siddhanta Paddhathi and Viveka Martanda. He composed them in Hindi. He also created 12 monastic orders across Northern India in an effort to preserve the Adinatha tradition. Other important works of this tradition are Hathayoga Pradipika, Gheranda Samhita, Siva Samhita and Jnanamrita. The school was predominantly ascetic and adapted many practices of the Pasupatha sect and the Adinatha Tradition in contrast to the Nandinatha tradition followed in the south. Although it is a tantric tradition, it differs from many left-handed (vamachara) schools of tantra with its uncompromising emphasis on the practice of brahmacharya or celibacy and its stand against the use of sexual energy in yogic practices. In the past this groub enjoyed some Muslim following in the northern India and some of them even became heads of their monasteries. Gorakshanatha brought to light many secrets of hatha yoga, kundalini yoga and samadhi and contributed to their present day popularity. Members of the group also dabble in occult sciences and siddhis or super natural powers. Followers believe that it would be possible through yogic practices to prolong human life and become immortal in the physical body (kayasiddhi). They believe that through the practice of hathayoga it is possible to channel breath energy through a web of nerves or nadis and acquire occult powers as well as achieve liberation. No one knows for sure what these practices are except those who have been initiated into them. 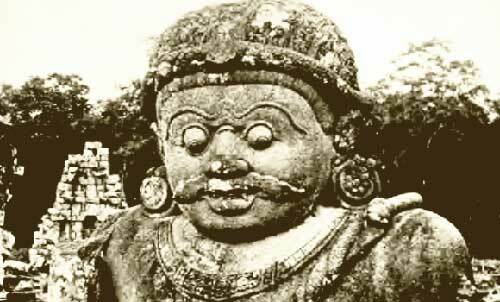 Some followers claim to have seen or interacted with beings who are several hundreds of years old. There are claims that Gorakshanatha, the original founder of the school, is still alive and active in our earth plane but does not appear in public. They also believe that Siva is the material and efficient cause of creation and that after liberation the jivas would return to Siva, like bubbles in water. Oneness with Siva can be experienced by serious practitioners of yoga in a deep state of samadhi. Once the state of samadhi is reached, an individual would remain forever established in transcendental consciousness even while engaged in the mundane affairs of the outside world. The group is active in many parts of India and abroad and its followers range from mendicants and street magicians to the most obscure ascetics living in the Himalayas. The popularity of hatha yoga, pranayama, kundalini yoga, holistic medicine, astrology and ayurveda in the modern world can be attributed to a great extent to this tradition.